La Vallee de l’Arve, which is the region that encompasses the village I live in, has very polluted air. I believe that Paris and Marseille are the only other French places that have worse air (and they have a few more people). This is ironic, given that the area became a tourist destination – its primary source of income – in the late 19th century when the Victorians would come here for ‘the mountain cure’ of fresh air. The problem is primarily the result of transit through the Mont Blanc Tunnel, home heating (bad wood, fireplaces and chimneys that aren’t energy efficient), and the fact that the valley is so deep that it traps the air in it. All the expats complain about the air and attest that this will be the reason they leave the valley, ‘Poor little Junior can’t breathe and always has a cough.’ It’s true. My infant son often has a cough and after several visits to the doctor because of it, we’ve been told ‘C’est comme ca…c’est le Chamonix toux…” (It’s like that…it’s the Chamonix cough…). I, myself, am always congested here, and I find it odd when I return to London that my nose becomes clear again. Recently, my husband and I received a letter home from the crèche (nursery) letting us know that they would no longer be going outdoors with the kids on days in which the pollution index was too high. Mon Dieu. Then, almost all of the doctors in the region signed a petition addressed to President Francois Hollande, stating that the air pollution in La Vallee de l’Arve is a health issue, particularly for the vulnerable, such as infants, children, and the elderly. I signed and sent this petition to everyone I know globally in the hope that by having folks of other nations sign it, maybe the powers-that-be would think that the tourist money will dry up if they don’t do something (god forbid they do it for the inhabitants). 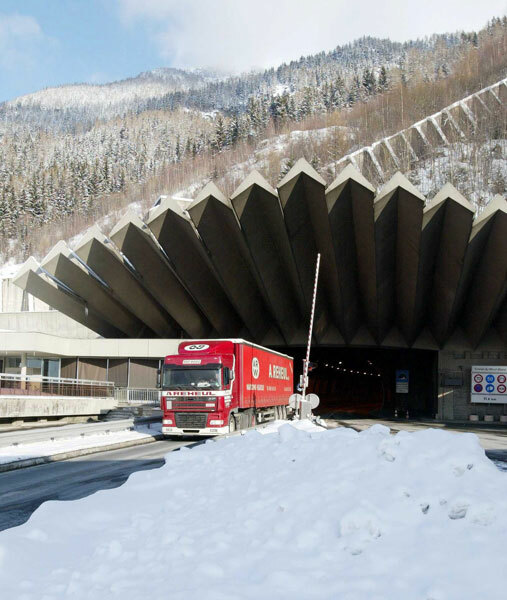 Now there’s the proposal for a second Mont Blanc Tunnel, or, alternatively, the expansion of the current one, to increase the amount of transit and goods through the tunnel. As an aside, those that own the tunnel – a 50/50 partnership between ATMB France and SITMB Italy–pay for its upkeep and all of the overhead/salaries associated with the running of the tunnel, in the first six days of every month, so the rest of the month is pure profit. A second tunnel, or the widening of the existing tunnel, would be dire in terms of air quality. Ten years ago there was fierce opposition by local residents against plans to widen the tunnel, but it seems it’s back on the table again. The Swiss are busy building tunnels for trains through their country in the hope of increasing efficiency and not destroying the environment. But the French, and Italians on the other side, are extremely reluctant and claim it will cost too much money.